Instant Car Donation was founded with the goal of bringing donors and local charities together with an efficient and pleasant process. You can focus on deciding which of our respected charities is right for you instead of worrying about difficulties of researching how to make a donation. After your free pickup, we will assist you in recieving the best tax benefit possible for your generous gift. We take pride in helping smaller charities easily receive car donations, bringing people together while helping support those in the Lakewood, Colorado community who need it the most. Here are some of our favorite charities in the Lakewood area. We have made sure each of them are eligible for tax deductions when you help your local community by donating your car. Your values and choice can make a difference. The American Alpine Club provides knowledge and inspiration, conservation and advocacy, and logistical support for the climbing community. The AAC advocates for American climbers domestically and around the world; provides grants and volunteer opportunities to protect and conserve the places we climb; hosts local and national climbing festivals and events; publishes two climbing annuals; cares for the world's leading climbing library and country's leading mountaineering museum; manages the Grand Teton Climbers' Ranch and Hueco Rock Ranch as part of a larger lodging network for climbers; and annually gives about $100,000 toward climbing, conservation, and research grants to adventurers who travel the world. Founded in 1991, Dare 2 Share Ministries exists to mobilize teenagers to relationally and relentlessly reach their generation for Christ. Dare 2 Share is committed to affecting positive change in the increasingly troubled generation of teens. Dare 2 Share offers intense weekend training conferences nationally for Christian high school students. The conferences are held each school year in key metropolitan cities across the United States that motivate and train students to reach out to those around them by living and giving the life-changing message of the gospel in a contagious epidemic of love and truth. Dare 2 Share is convinced that the answer to this crisis in Christianity lies in an aggressive initiative to transform youth ministry from reactive and entertainment-based to Great Commission-driven and Scripture-based. The Federal Employee Education & Assistance Fund (FEEA) is the only non-profit organization devoted solely to helping civilian federal and postal employees. FEEA helps federal employees every day through our three signature programs, including an annual scholarship competition, emergency assistance program, and child care subsidy program. FEEA sponsors the only annual, merit-based contest open only to civilian federal and postal employees, their spouses and college-age children. Emergency loans are available to help employees who fall behind on basic living expenses (mortgage/rent or utilities) due to unforeseen emergencies such as leave without pay, government pay error, death or illness in the family. FEEA administers a childcare subsidy program for more than two dozen federal agencies. Committed to transforming the lives of teen mothers around the world. Hope House of Colorado empowers parenting teenage moms to strive for personal and economic self-sufficiency and to understand their significance in God's sight, resulting in a healthy future for them, and for their children. Hope House of Colorado was incorporated in October 2000, and the next three years were spent developing a comprehensive self sufficiency program, building a funding base, and learning how to run a non-profit organization. In April 2003, Hope House opened the doors of its first Residential Program. In 2006, Hope House moved into their own facility (Read our story). In 2007, Hope House began providing Community Programs to teen mothers, including a Mentoring Program, and a GED Program. Founded in 1997, International Development & Educational Associates (IDEAS) was incorporated with the intent to either begin or partner with projects focusing on holistic development around the world. Today, IDEAS' work is to meet tangible and holistic needs among communities of forgotten and overlooked people. They work in 13 countries and operate projects in five categories: agriculture, business, community development, education and healthcare. IDEAS Associates use their professional skills and experiences to see holistic transformation occur socially, intellectually, physically and spiritually. Associates develop relationships, assess the needs and assets of communities and design projects to specifically meet those needs tangibly. Mountain States Legal Foundation (MSLF) is a nonprofit, public- interest legal foundation dedicated to individual liberty, the right to own and use property, limited and ethical government, and the free enterprise system. MSLF undertakes nationally significant public interest litigation, throughout the country, without charge (pro bono) on behalf of deserving clients who cannot afford to hire private counsel. MSLF provides a strong and effective voice for freedom of enterprise, the rights of private property ownership, and the multiple use of federal and state resources. MSLF also champions the rights and liberties guaranteed by the Constitution in support of individual and business enterprises and against unwarranted government intrusion. Since its establishment in 1988, the Colorado Center for the Blind has provided innovative teaching techniques and philosophy that continues to have far-reaching effects on the lives of blind people, taking them to new heights of independence. At the Colorado Center for the Blind, we expect that blindness does not need to be limiting in any way. With our positive attitude, we have revolutionized the way the public thinks about blindness and have created vibrant programs that change negative myths into positive realities. There are lots of charities in the Lakewood area which can benefit from your automobile donation. We not only assist you contribute to a nearby charity, but we focus on providing an easy method to small local non-profits so that they can focus on their important work, to accept donations. Frequently the donation will make the difference for charities, like Dare 2 Share Ministries, while helping to encourage those in their Colorado community who want it the most bringing people together. It is important to Instant Car Donation that you get the greatest allowable tax deduction advantage without needing to navigate complexities or perform extensive research possible. We pre-qualify all of our engaging non-profit organizations to verify your donation will be tax deductible. The process will be streamlined to both you and the charity of your own choice. We'll provide you following your donation that is completed. Car donations are the method for folks to produce a large contribution. Due to this, one of our aims is to empower those electing a decision that is benevolent by making sure that the automobile, like a Isuzu NQR, goes to the charity which best reflects their values. When donating together with us we make charity choice an integral part of the procedure. We can do this too, in case you want us to decide for you that charity would benefit the most. Aside from the charitable tax deduction and not with the hassle of managing an older vehicle, the feeling of being able to help those in need might be the best reason to donate your automobile, like your Suzuki Grand Vitara XL-7, to a non-profit organization. Another benefit of donating a secondhand car to charity is the opportunity to simply get rid of the car without having to try to fix or promote it. Most charitable car donation programs will anyhow vehicles if they are operating or in need of repair. Some trucks or cars that are beyond repair will be sold for parts or scrap along with any money received will go to the charity. When you choose to generate a donation of a old automobile, such as a Nissan NV,, if the charity sells the car to get more than $500 they need to send you a receipt which lets you subtract the sales price of the vehicle, like a Holden Volt, on your own tax return. If the old car you made a decision to donate isn't worth at least 500 bucks, then the IRS allows you to determine the fair market value. This is the value that someone would be prepared to pay for the automobile if buying it from you. To be able to receive the tax deduction, then you will need to itemize your deductions on your tax return. By doing this, you make out by getting rid of your car, truck, RV, motorcycle, or other vehicle, without having to sell it in Lakewood. You receive the tax deduction, along with the charity either gets to utilize the vehicle, such as a Subaru SVX, sells it and uses the proceeds for the good of the charity. That's a win-win for everybody involved. Car donation programs have become popular in Colorado over the past ten years or so, as more charities are looking for new and creative ways to create funds. Today, the number of charitable automobile donation programs is in the hundreds or perhaps tens of thousands. In case you've got a favourite Lakewood charity you like to make donations to, it's probably possible for that charity to get at least a part of the funds if you give your used vehicle. Charitable car donation programs allow you to donate your secondhand car to the charity of your choice. Visit our charities page to pick a charity in Colorado to contribute to. Most used car donation programs will sell the vehicle to increase funds for the reason, use the vehicle in the daily operations of their organization, or give the car to a someone in need either at no cost, or even for under the average market value. While there are many advantages to charities which receive donations from individuals, the advantages to the you, the donor might not be too clear. The biggest benefit which most individuals hear about is the chance for a tax deduction. This usually means that the resale value of the given vehicle may be written off on your own tax return. There are a few limitations on this sort of deduction, which means you might choose to talk to a tax pro prior to making the donation. Can there be a financial tax advantage for donating my vehicle in Colorado? We can guarantee your vehicle, such as your MINI Cooper S Convertible, belongs to some non-profit organization, such as Dare 2 Share Ministries, that's eligible to receive tax deductible donations and assist you recieve a reciept for your contribution. You may have the ability to get a tax benefit for your auto donation if you itemize your deductions. For donations around $500 you can use Kelley Blue Book and also for larger contributions the non-profit organization, for example Federal Employee Education & Assistance Fund, must confirm what they recieved for the automobile donation (more info). How can my car be picked up? We'll arrange a tow truck to come get your car, such as your Jaguar Sovereign, and deliver it to the charity of your choice. It couldn't be much easier now, to help the non-profit organization, such as Mountain States Legal Foundation, of your choice! Do you take donations for cars which are damaged or lost components? We accept automobiles in all states! Go ahead and submit your request to contribute, and our Lakewood team will quickly see what we are able to do for you. Can you help me find a charity that suits my personal values? We'd really like to help you ensure your donation goes to your cause in Lakewood you care about by helping you pick a non-profit organization that meets your personal values. It is important to us we do so each single time you donate with us! What non-profit organizations do you help in Lakewood? Instant Car Donation proudly supports respected local & national Lakewood nonprofit organizations in the area. We work with dedictation for you to be sure maximum support is recieved by the organizaion from your car or truck. All owners around the car title must complete the part of the title labeled "assignment of title by owner" or "transfer of ownership by seller". Most states require registering and printing owner names. You need to fill out any areas that require documentation concerning a buyer/purchaser/transferee with information. Directions may be found by you here. Will this be done fast? First we will speak to the non-profit organization of your choice (or pick one for you if you requested that instead) to make certain they need your car which takes around one business day. After that we'll arrange to get a tow truck to come for you for easy pickup. If it is taking a little more time feel free to give us a call. Do you have a vehicle, such as a Lincoln Continental, simply sitting in your garage or on your driveway that you have been intending to get rid of? Perhaps you think it is too outdated, or that it is in need of repair or refurbishing. Many of us are prepared to depart an unneeded auto sitting in our garage or our driveway for years without spending the time or money to repair it. So that auto sits and sits and sits. Let us be honest. Are we likely to put in cash and the time to fix this car? If we were, wouldn't we've done it already? Not only is that this older car an eyesore, but we're also missing out on the chance to apply this precious resource to help a charity such as City Rescue Mission (CRM)! One man's crap is another person's treasure, so the saying goes. This is definitely the case with automobile donations. A car, such as a smart smart, that is unneeded by you can supply just the correct amount of financing to a charity at Lakewood or beyond to meet its budget for a current or future job. If you donate your vehicle, you are giving a precious treasure to some charity, as your contribution permits them to keep their work in the community. Dare 2 Share Ministries in Lakewood, Colorado is such a nonprofit. Its call to action is directly supported by your contribution--you can enable the charity of your choice, such as Hope House of Colorado, to extend the breadth and reach of their good actions from the neighborhood! We pride ourselves in assisting you to convert your unwanted car to actual treasure! Click on the donate button today to begin the procedure. Once you let us know which you're ready to donate your car, we'll arrange for a completely free pickup in Lakewood or the neighborhood area and sell your vehicle. All you want to do is tell us which honored charity matches the call of your spirit, and we will finish up. The very best part is that while you receive the benefit of clearing out old, unnecessary junk, you also get to offer financing to the charity of your choice, such as The Community Foundation of Louisville, and ultimately, you get the most tax benefit for your donation. We'll provide you with a tax receipt for your contribution, and also ensure the charity of your choice receives your donation as well as the required IRS paperwork to take your contribution. Have you been considering donating a car in Lakewood, such as a Suzuki Esteem, however, wondering what effect this may have for your charity of your choice? If this is so, keep reading to see the way your automobile donation in Lakewood could be a real difference and impact on small and medium-sized charities such as Federal Employee Education & Assistance Fund on your community. One of the greatest challenges for smaller charities with a few or no paid staff is how to boost their funds and preventing volunteer burn-out. Hope House of Colorado at Lakewood, Colorado, is this a nonprofit. Dare 2 Share Ministries's mission is performed by several volunteers. Because the majority of work is carried out by volunteers, the charity's tasks are performed by volunteer employees, many of who lack skills that the non-profit should flourish. In actuality, many times that the particulars of fundraising efforts are determined based on who's available to take them out, instead of that which would be the most effective approach to fundraise. Should a small nonprofit like Federal Employee Education & Assistance Fund be in a position to be given a automobile donation, including a Kia Rio? We think so! 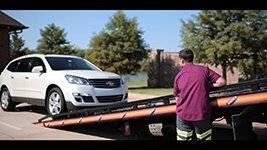 However, what about all of the logistical help, money and time that is needed to arrange the tow truck along with the selling of your automobile with an auction? It seems unlikely that a charity such as this would really be able to take on selling your donated car, even when you decided to donate it to them. That is where we come in. We associate with every non-profit who wishes to receive a auto donation, such as Hope House of Colorado, and offer our expertise and help in calculating the auto donation. Then, we be sure the charity receives the most donation it can receive so it may improve its operating budget and finance new and current programs. Your car donation may be worth several hundred or even a few thousand dollars or more, based on the vehicle that you donate. Though it might not seem like a great deal of cash, it is an unplanned windfall to get a small or medium-sized charity like Dare 2 Share Ministries. Still contemplating donating your vehicle to a charity in Lakewood? We can help! Just click on the contribute button and then let's know that you are, and we'll arrange your free pick up and to offer your vehicle. We'll also contact the charity of your choosing, and make sure that they get the money they should continue their great and important job in our regional community. Should I Donate My Car? Trying to decide whether or not to donate your car? While donating a vehicle, for example Electric Mobile Cars Electric Mobile Cars, is an excellent means to receive a tax-deduction, the benefits of donating your car in Lakewood go far beyond tax year. Donating a car makes a real difference for charities, who are looking for innovative ways to raise their effects on nearby communities. Maybe it doesn't look to be a automobile donation could impact the bottom line of a charity, like Dare 2 Share Ministries, that way, however if we take some time to actually examine the situation of most small and medium-sized non-profits in our local community, we'll probably discover they're all doing their very best to serve the biggest number of people, however with very limited means. Take the instance of Mountain States Legal Foundation in Lakewood, Colorado, a Tiny local non-profit. Like every tiny non-profit, it's always on the lookout for ways to raise its contributions so that it can provide more services to its target community. Although a lot of large nonprofits, like Pando Initiative, have paid employees that may receive and sell a given car to improve help increase its revenue, a small non-profit like Mountain States Legal Foundation might not have the staff to take a car and process your contribution of a Bugatti Chiron. We can assist! We work together with charities to be certain that they all have the capacity to receive a car donation. By clicking on the donate button, and donating your vehicle to a small organization in this way, you supply them with the opportunity to receive unforeseen funding which may extend the duration or reach of a current job, or to start a new job that could have been impossible without your contribution. Donating your car is something you can do now, simply with the click of a button. We'll arrange a free pickup in Lakewood and arrange to sell your vehicle. All you have to do is inform us about the car that you wish to donate, like a Audi RS5, and pick the charity you need to help most. We're connected to a network of thousands of charities already, and also have the ability to reach out into any charity for your benefit. Our purpose is to provide necessary funding to every one those charities who are doing significant work in our own communities, but have limited staff and funding. So, what are you waiting for? Click on the donate button today and let us put your vehicle donation to function for the good of the community! When you give a vehicle, like a Tesla Model S, you can contribute from the heart. There are several worthy charities out there that are needing your aid, particularly in Lakewood. This a great example of a charity which touches the lives of numerous in the local community. We can't do the major work that Dare 2 Share Ministries does, but we can all lend a hand to empower and further its mission. Do you have a vehicle in need of a new residence? Before you click on the donate button, take a while to look through the many pages of charities, such as WildAid, which we associate with. Which of them talk for your heart? Then have a little time to reflect. What wishes do you have for your people of the community? Then, envision how by taking an action as small as donating your vehicle in Lakewood, you're ready to help make these wishes come true. Envision what sequence of events your automobile donation might put off in Lakewood and beyond. Do the wishes you have go past the pages of our site? Probably. We need to all dream large, particularly when it comes to the good wishes and joy which we earn for others. But some us of might realize that the charity we all want to contribute our automobile isn't listed on this site. We can help! You can still click on the donate button and let us know there's a respectable charity, such as Concord Museum out there which that isn't listed on our site. We will contact that charity and utilize our resources to be sure it can receive your donation. The practice is straightforward. Once you click the donate button and then let us know you're ready to donate your car, like a Mitsubishi Eclipse. We will arrange a free pick-up for your vehicle in Lakewood or your regional region, and record at auction to find the highest price possible so that we could make the maximum donation potential for your charity of your own choice, including Mountain States Legal Foundation. Not only can you get to give your car from the center, but you are also qualified for a tax-deduction. We'll finish your tax receipt and supply the non-profit with desired IRS paperwork in addition to your donation. Giving in the heart couldn't be simpler!